What’s yours, mine or ours? They’re all possessive pronouns. 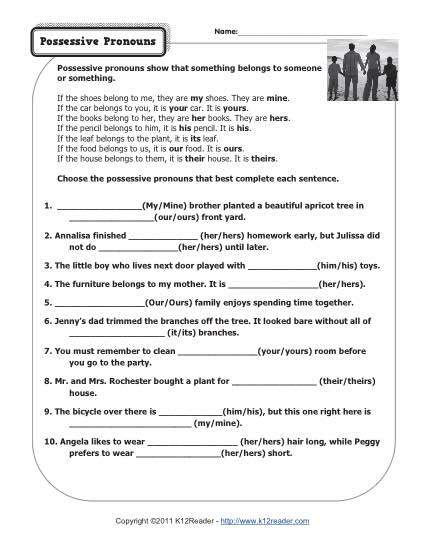 Your student will practice using the correct one in this drill worksheet. It’s great for 1st grade Language Standards for Common Core Standards, or you may use it with other students as necessary.